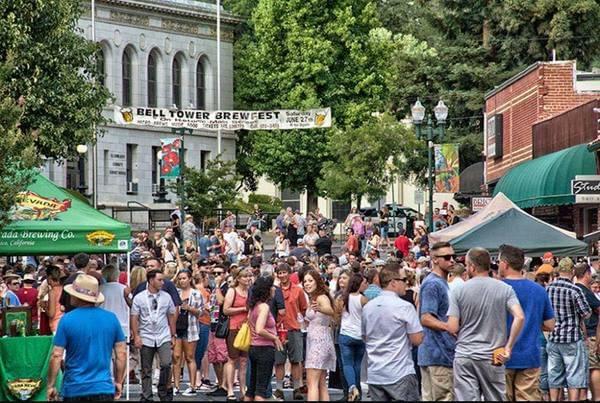 Placerville "Bell Tower" Brewfest is returning to Historic Downtown Placerville for 2019! The Brewfest will take place at Main Street on Saturday, June 22nd, 2019 from 5-9PM. The event is brought to you by the Placerville Downtown Association in partnership with Beers in Sac. Brewfest will feature 35+ breweries, cideries, meaderies, and wineries, with local gourmet restaurants, a cigar lounge, and music/entertainment. Come and take in the sights at Historic Downtown Placerville and join us for a night to remember at this community focused and inspired event. Must be 21+ years old to purchase a ticket. For more information visit the Brewfest website. Mobile App --> Coming soon.